To be honest, Cabin has gotten progressively worse each season for me. I'm sure that's partly down to getting used to it all, as newbies in the maze really are blown away by the idea. However, the original version in 2013 was by far the best. The idea of the maze was that you would enter a room, close the door, and something would happen. Every room had an actor and seemed to have a special effect to go with it. Maybe I just got a good run, but it felt a lot more interactive and the aim was actually achieved. It wasn't scary, but it was certainly a lot of fun! I'm including this as a Fright Nights attraction, even if it didn't start off as one. I've experienced Saw loads of times, due to it being open all season in 2010 and 2011, so I guess it show how much I like it given how high up it is. It's got a good use of effects, which is something a fair few of the other mazes lack. And it later years, it's become a bit more theatrical, which gives it a different feel to the others. I've definitely got a soft spot for Saw Alive, and I might be over-rating it a tad, but I really have enjoyed it the past couple of years, which I guess helps! 2015 Containment was average at best to be honest. But Containment for 2016 was fabulous; from the nice pre-show, to the fun tasks to the fantastic actors. Everything just worked, and left me with a huge smile on my face. The fears included were of a nice range, from the common to the not-so-common: numerophobia (numbers), chronophobia (time), trypanophobia (needles) and haemophobia (blood). It might be because this is the only escape room that I've done that I enjoy it so much, but it's at least set the bar high, and got me itching to try and another horror escape room! Experiment 10 was one of the most difficult ones to place on the list. The beginning was pure genius, and the first time I experienced it, it did shock and surprise me. But from there, it went downhill, with little to write home about. And let's not talk about the 2012 version and ending shall we. Nevertheless, the reception scene, decontamination sequence and isolation rooms were absolutely fantastic, and a brilliant way to start off a scare attraction. If the same atmosphere and intensity from actors could have been matched during the rest of the maze, it certainly would have been higher up! Obviously for this, I'm referring to the 2016 version. Don't get me wrong, 2015 Big Top had a lot of potential and was fun on some runs, but it just wasn't up to scratch when all was said and done. 2016 Big Top had a nice mix of everything though. 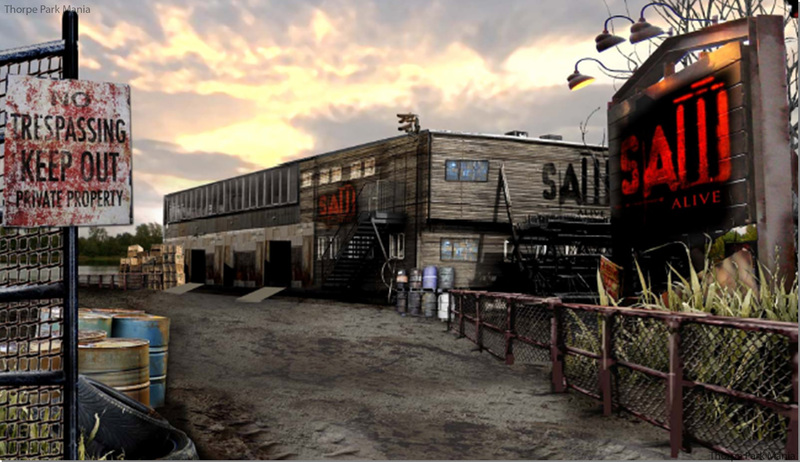 The Madame Mephisto scene was nice, the playground area was fantastic, and showed me how a mesh-strobe-scene can work. Then the rest of the maze had plenty of theming and nice, open, sets which all worked really well - especially the clown wash room! Yeah, chainsaw ending doesn't quite fit in with the rest of the maze, and it's a bti cliché, but it still works at least! It is just so much fun and is designed so that it's really easy to scare people. I honestly think that Se7en was quite under-rated during it's time at Fright Nights. 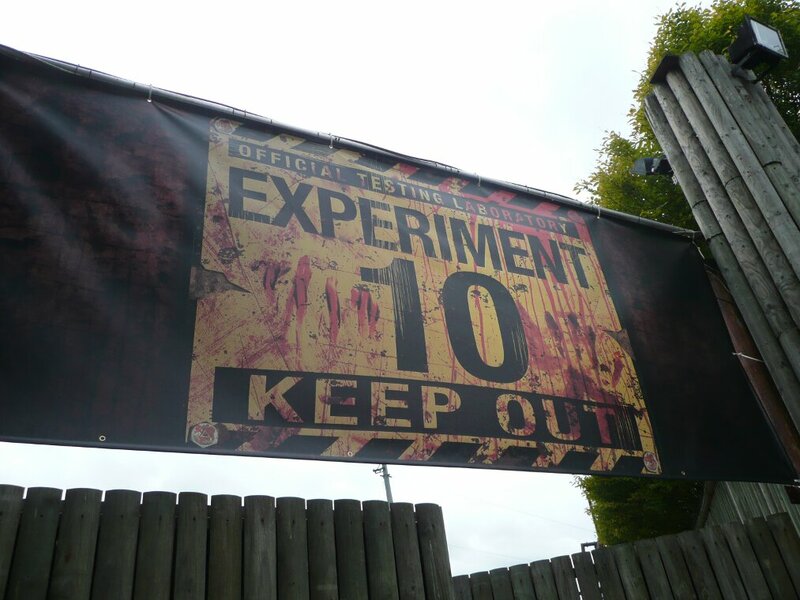 It got a lot of hate for being in a white tent, and I think its first couple of years weren't that well received generally, but the times I experienced it, it was a solid, dependable maze, featuring fab theming, great smells and effects and a variety of different scare tactics. 2011 was a stand-out season for Se7en though - actors seemed to have been given more leverage on what they could do, and were very full on throughout. Sure, some of the rooms had lost their appeal after going through it multiple times (in particular the Envy room), but things like the Gluttony room remain in my mind - and nostrils! - to this very day. I know tents aren't the ideal situation for a horror maze, but based on how this and Big Top have gone down, I'd be happy to see more of them back in the future for greater in-maze experiences. The theming was largely very good as well, and the actors all seemed to work well with the maze in my runs. It all just gelled really well to create quite possibly my favourite scare maze to date!